So Benz is out for the next game although the reason remains undisclosed. Pepe and Bale remain absent. Not sure about Marcelo. Varane is suspended. That's why i'm preaching the signing of Aubameyang for a while now... he can play winger and CF although he's a natural CF. That's why they have already decided to bring Morata back this summer. 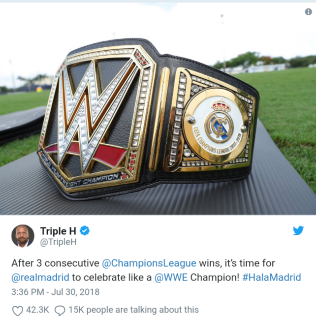 The original idea was to have competition at all positions, but Benz and Ronaldo and Bale and James don't like the idea of internal competition. I understand the idea of establishing a starting 11, but in today's game with 3 separate competitions, you can't overplay that 11. Let them battle it out as to who makes the starting 11, but in no way should we have scrubs for the second at every position. In same way, noone, Ronaldo included should be starting practically every game. @sportsczy wrote: That's why i'm preaching the signing of Aubameyang for a while now... he can play winger and CF although he's a natural CF. You preaching auba? BS you got that idea from me m8. Top kek. Seriously though i much rather have aubameyang than that lewandowski prick. here's my thing with respect to back ups. over the last couple of years we've preached this thing about signing no back up or back ups who should be happy to just sit on the bench, and only play when there are injuries or suspensions....i don't like that, i never have; granted the better player should play. but if you have someone who just lounges on the bench till desperation hits, i doubt he can provide any spark when needed. Off topic but how old are you exactly Tito? Saw your contributions in the Ronaldo vs Ronaldo (I think) thread and you mentioned you saw Van Basten, at Ajax. That was what, mid 80s and you seem to remember him quite fondly. On topic, the club could genuinely do with a competent back up CF. Who is willing to fill that role is something I don't know. Would it help? Yeah if the manager wants it to work but if he is the type to play one line up all the time then we'll probably be better off with just promoting a youngster or using Jese. off topic.....in my early/mid 40s, two kids and my girlfriend (the mother of my kids, we just haven't got around to tying the knot). Begs the question why we aren't testing Mariano/Mayoral, even if only for 20/30 mins. 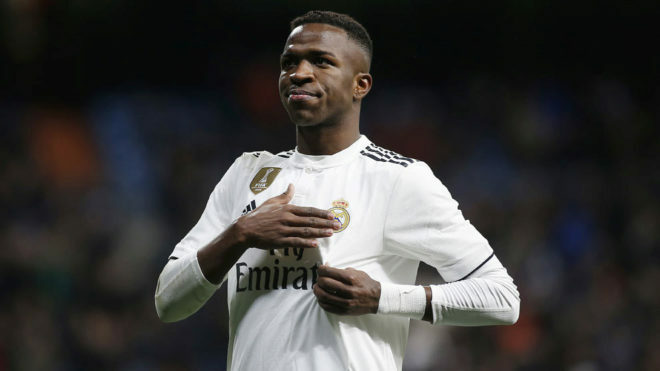 Arguably, both have done enough to warrant consideration as a makeshift backup till the end of this season, similar to how Jese played Castilla and had some 1st team games before he was fully promoted. Big difference, this Castilla is playing in third level futbol. Jese's Castilla played in 2nd. They simply are not ready. I have doubts about Mariano, he's older, but Mayoral was recently signed to a new contract, much like Jese was. He has a future, if Castilla gets promoted to Adelante (reasonably posible), he will be fine there next year. Although I would like competent backups for every position, that won't happen and therefore you will have squad players for some positions (e.g. Casilla, Nacho, Casemiro, Lucas), but CF is not a position to do that for. It needs to be an experienced, confident and reliable striker. @Tito, You surprised me, I was expecting you to be in your 50s (a youngster in comparison to me, but another old fart like me). Word around here is they definitely have decided to exercise their option on Morata this summer. It may just be a financial move, as their price for him is very reasonable given on what market is likely to be. I suspect they bring him back and see if he can fit the bill as the 2nd striker and if not they sell him for a profit. 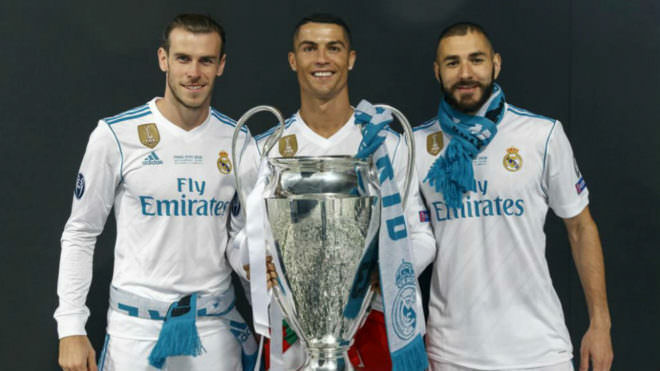 However I am still of the belief that both Ronaldo and Benz leave this summer. My fear is that they won't address our biggest need, a defensive minded midfielder. And for those of you on the Navas bandwagon, you need to more closely examine his performances. Just a couple of games ago, Sports was detailing how Navas makes risky moves and doesn't communicate with his CBs. Navas is good, while De Gea is elite. This move was actually decided in December according to various socios.